Stranger Things is pretty incredible. Now, Stranger Things Season 2 poster are here. And these retro masterpieces have us excited for what’s in store. To put into perspective how much everyone loves this show, Netflix has already renewed it. But it also gave the show an end date. That’s okay, though. Because we still have plenty of time to love Stranger Things. And believe us, everyone loves this show. There are even pop-up bars with boozy Eggo slushies for Stranger Things fans. But now, we have about two months before we’ll see Season 2. And we’re already more than ready for it. Especially with the retro looks we’re getting with these new posters. Get ready, everyone. Because we’re going back to Hawkins in the best possible way. From the trailer alone, we’ve seen that we’re getting all the ’80s goodies we want and more. Especially with the Ghostbusters looks the boys are rocking. 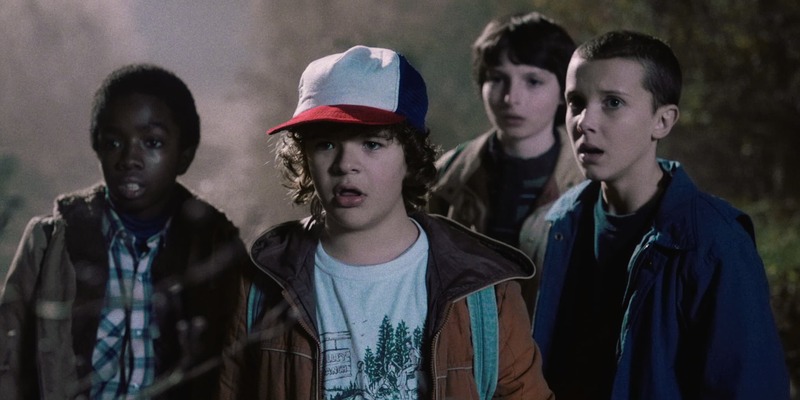 But that’s just the beginning of Stranger Things getting us excited for what’s to come. Now, the best part about these new posters is how they look like they came straight out of the ’80s. The retro look is part of what drew us in to Stranger Things. And the show seems to be continuing that trend. First, we have Will, Mike, and Joyce. Next, the great looks continue with Lucas, Dustin, and Hopper. Of course, we need our favorite teenagers, too. And Nancy, Steve, and Jonathan look pretty amazing in their posters. Now, here’s the thing we all were afraid of: Eleven. At the end of the first season, we saw our favorite superhero taken by the Demogorgan. We weren’t sure if we’d see her again, but from the trailer and these posters, our prayers seem to be answered! And she’s even featured with two new characters. Stranger Things Season 2 comes to Netflix 2 on October 31st. And get ready. Because this season looks even more amazing than before.